We love Real Estate, and we love St. Petersburg. These posts share some of our thoughts on both, and well as information that you'll appreciate, whether you are a buyer, seller, or just looking to learn a little. When potential buyers are walking through your home, or even looking at photos of it on-line, they are always, at some level, engaged in an imaginative reverie, feeling what it would be like to live in this particular home, to come home to it, to invite their friends over. The better we can make this imaginative experience for the potential buyer, the more likely they are to actually buy. Last month we wrote about how depersonalizing your home can make it easier for buyers to imagine themselves living there, but in addition to depersonalizing it, we also want to show the house off to its best advantage in every way. Clearly, buyers want not only a home to call their own, but also a home that will enrich their day-to-day lives and that they can be proud of. One of the best tools we have to help the buyer see the potential beauty of your home is the home stager. The stager is like an interior designer, but with a special skill set. Instead of customizing the interior of your home precisely to your liking, the stager’s talent lies in finding optimal uses for each space in your home and then staging it in such a way as to appeal to almost anyone. 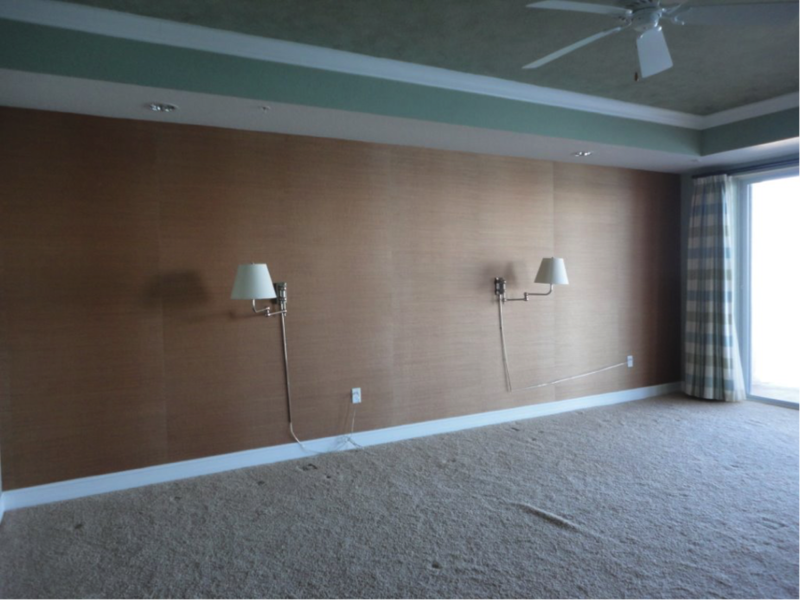 Take a look at this empty, lonely, and utterly uninteresting bedroom. It’s hard to imagine having a reason to stay in there for more than 30 seconds, let alone living 1/3 of your entire life in it. But after the magic touches of professional stager Peggy Mustoe, the room is transformed into an inviting, elegant space. Not only is there a place for your body to rest, there’s a place for your mind to rest. All of a sudden you can imagine yourself spending time there, relaxing, unwinding, and enjoying. A good stager is a master of vision and design, able to see past the current furnishings, or lack thereof, to quickly surmise the home’s full potential. The stager will then choose and place furniture and décor in such a way as to make the home feel more modern, spacious, and livable. Besides helping the buyer to pull the trigger, staging a home can also foster the perception of its true value. The staged bedroom above not only looks more inviting, it looks like a bedroom in a more expensive home. Not all homes need to be professional staged, of course, but it’s a rare instance where we can’t at least make a few suggestions, based on a quarter century of walking buyers through Tierra Verde and Pinellas Bayway homes. When selling your home, one of the most important elements that will determine your success or failure is something you’ve never seen and never will, invisible and intangible, and yet ultimately the most important factor in the success of your endeavor: The buyer’s imagination. When potential buyers are walking through your home, no matter if it’s the first time or the 5th time they’ve viewed it, the one activity in which they are constantly engaged is that of imagining themselves living in it. Consciously or unconsciously they are cooking in your kitchen, sleeping in your bedroom, or even getting ready for a night out in front of your bathroom mirror. The decision to purchase or walk away from your house is going to be largely based on the experience of living in it that takes place in their imagination. If they can really imagine themselves living there, and if this is an enjoyably imagined experience, there’s a good chance they’ll put pen to paper. If their imaginary experience doesn’t measure up, or if they can’t imagine themselves living in your home, no other enticement on Earth will get them to make an offer. If you keep the buyer’s imaginative journey in mind, it will help you prepare your home and create a space that welcomes the buyer’s reverie and therefore increases the chances of finding the right person or family to sign that contract as quickly as possible. If you’ve been reading our past articles, you already know some of the more blatant items to remove. It’s hard for anyone to imagine living in a home with someone else’s family member staring back from the picture frame on the shelf or fridge. But there are other, more subtle ways that you can disrupt the buyer’s imaginative journey. For instance, if you display your collection of plates, spoons, or ninja swords, the buyers will inevitably stop and look at your collection, and in that moment, they will clearly be in your house, and not in their house. Of course, some people can see through these personal effects and will only focus on the house itself, analyzing the space and features in a more calculated way. However, the process of choosing a new home is often driven less by rational analysis and more by emotion and imagination, and you want to give every buyer the best chance you can to imagine themselves as kings of your castle.